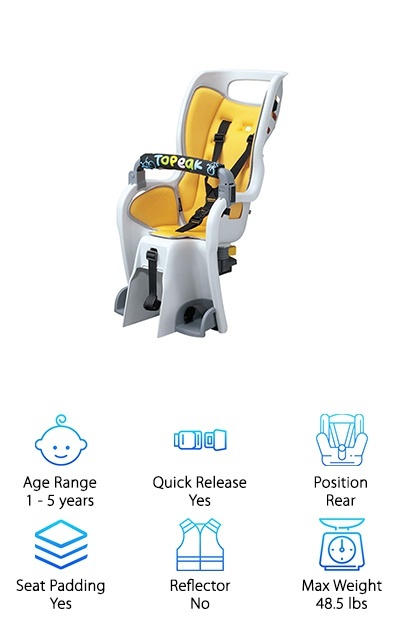 The Topeak Baby Seat II is a rear-mounted seat for one- to five-year-old children. 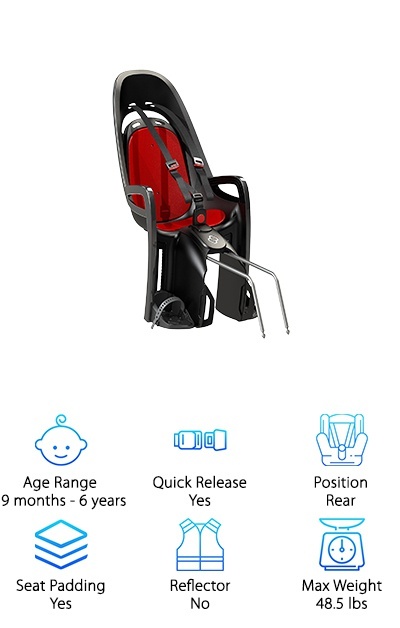 It can hold kids up to about 50 pounds. 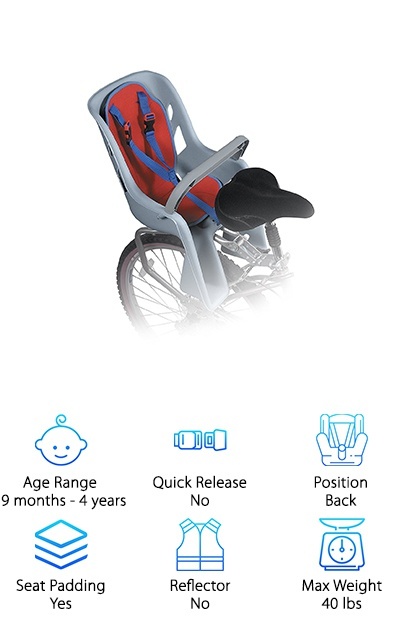 The mount is an easy-to-install rear rack that is made of durable T6 aluminum. 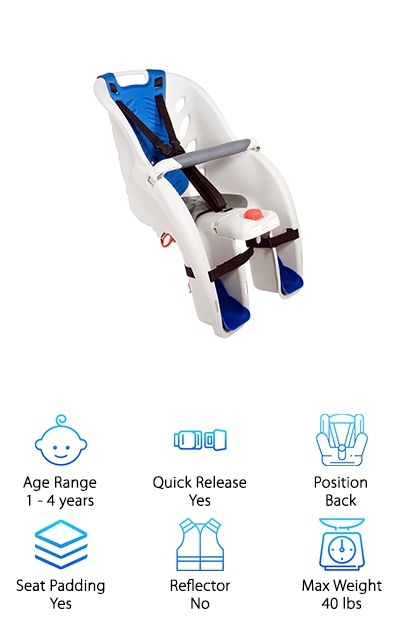 The seat itself slides onto the mount very easily, making sure your child and the seat stay firmly in place while you're out for a bike ride. 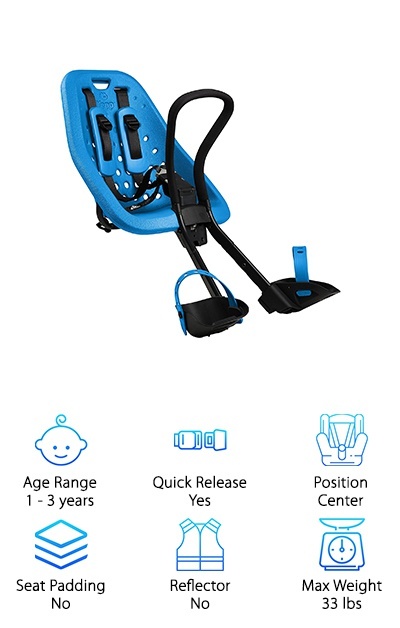 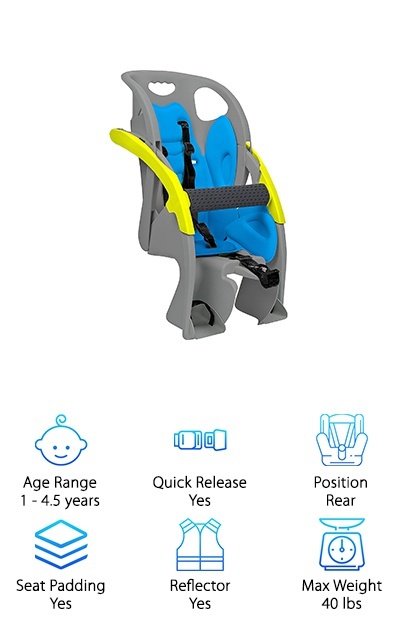 It features leg restraints to keep your child’s feet from getting caught in the wheels, a padded crossbar, and a three-point harness for enhanced safety. 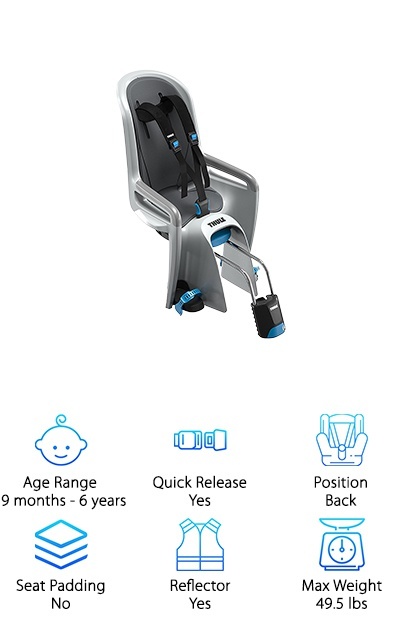 But it doesn’t skimp on comfort either! 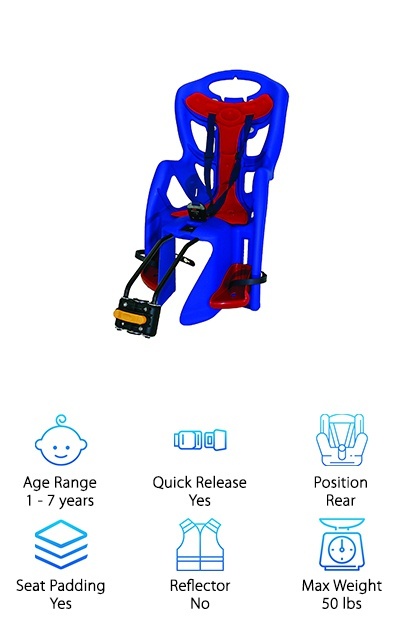 The suspension system is top notch to give your kid a smooth ride. 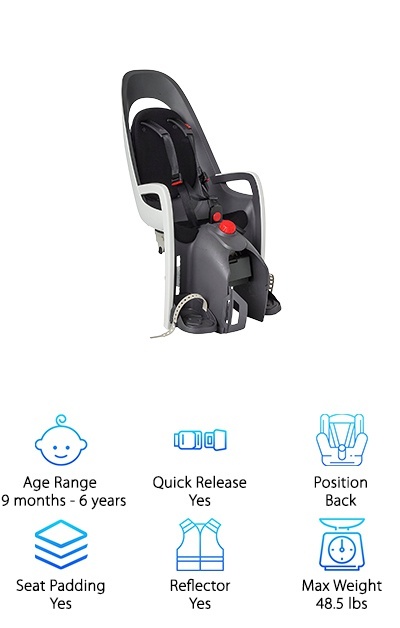 It has an optional pad for the inside of the chair that is soft, removable, and easy to wash. 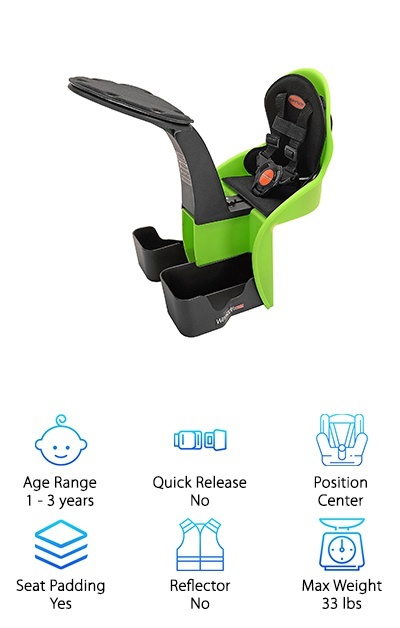 The pad comes in pink, green, and blue, too!